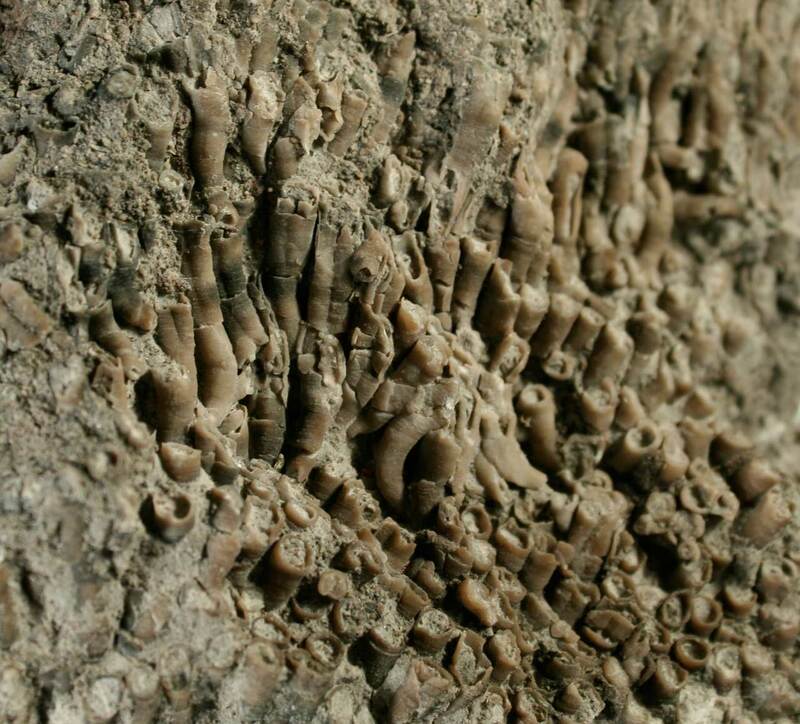 This partial fossil bryozoan attached to a piece of Lexington Limestone matrix appears to be an Escharopora falciformis. 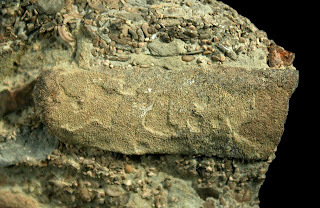 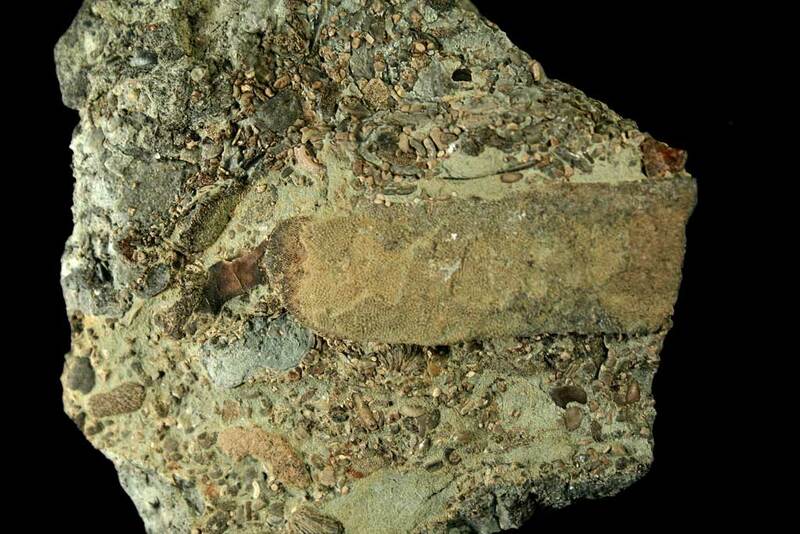 It was found in Franklin County, Kentucky and is Ordovician in age. 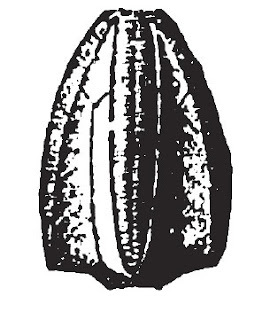 Similar fossils like are shown in Plate III Figures 17-19 (page 45) in Cincinnati Fossils An Elementary Guide to the Ordovician Rocks and Fossils of the Cincinnati, Ohio, Region edited by R.A. Davis 1998. The guide describes the fossils as "characteristic flat, blade shape, and the pattern of diamond-shape apertures." 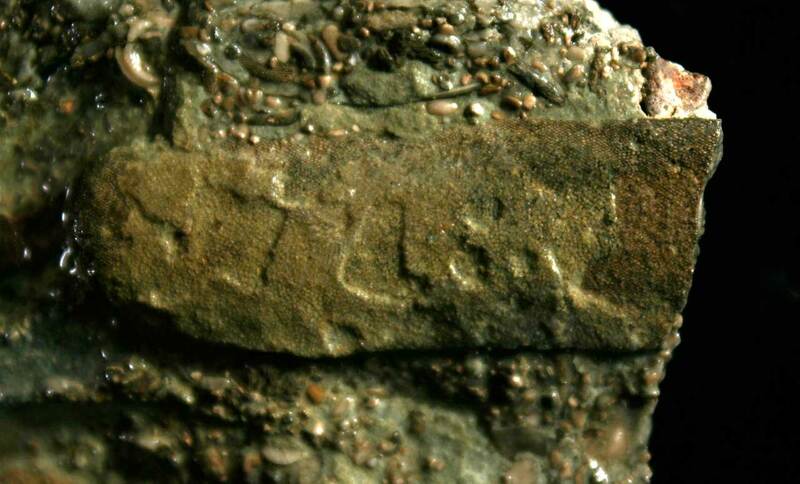 The text goes on to say they are found in the Mt. Hope and Fairmount subdivisions (Cincinnatian Series, Maysvillian Stage). Thanks to Herb for the fossil and identification help. Next image is of the fossil wet which highlights predation on its surface. 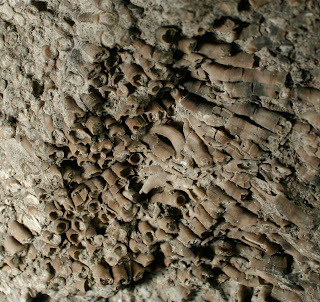 This might be a segment of the ambulacral area of a Pentremites conoidcus blastoid has been magnified under a microscope. 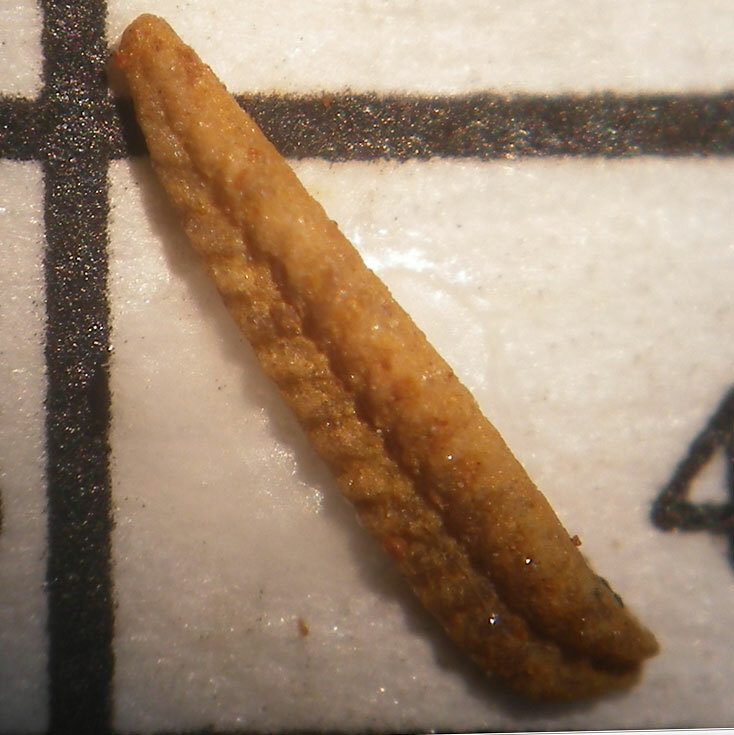 It is in a area about 4 mm wide. 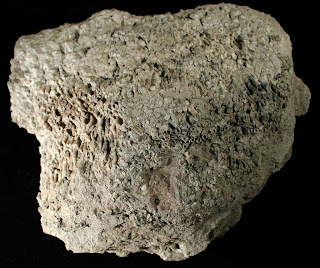 The fossil was found in the Salem Limestone of Spergen Hill Indiana. 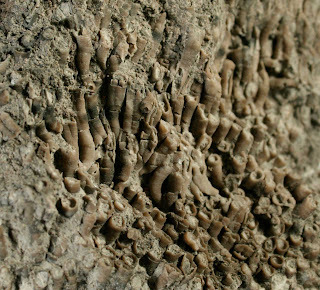 This area is known for its Mississippian Period fossils. 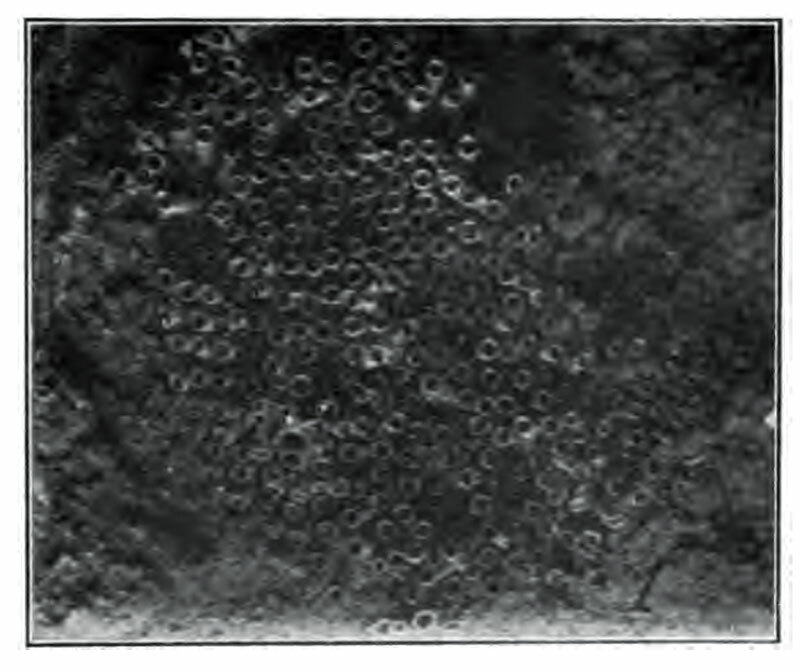 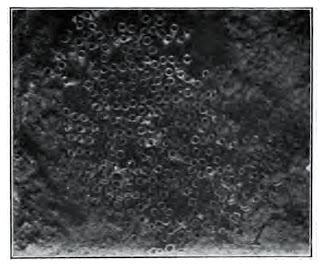 The identification appears to match Figure 32 found on Plate XXVI in the Indiana Department of Geology and Natural Resources Thirtieth Annual Report, W.S. 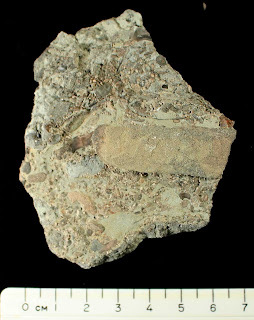 Blatchely State Geologist, 1905. 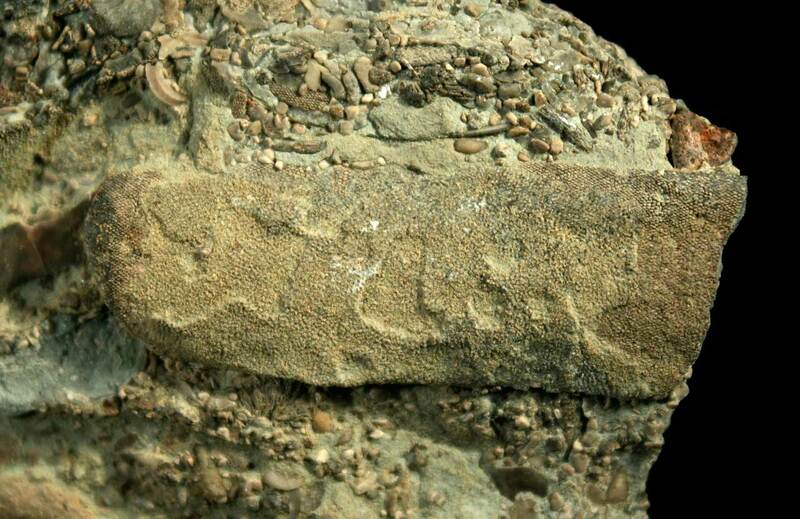 Thanks to Kenny for the fossil image. This Mississippian Period fossil appears to be a Dichocrinus striatus crinoid calyx plate. 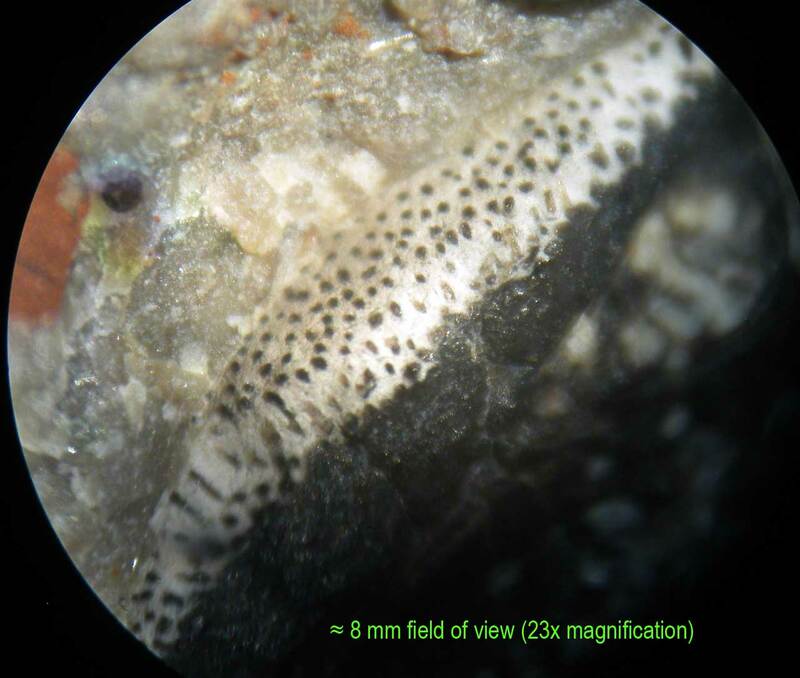 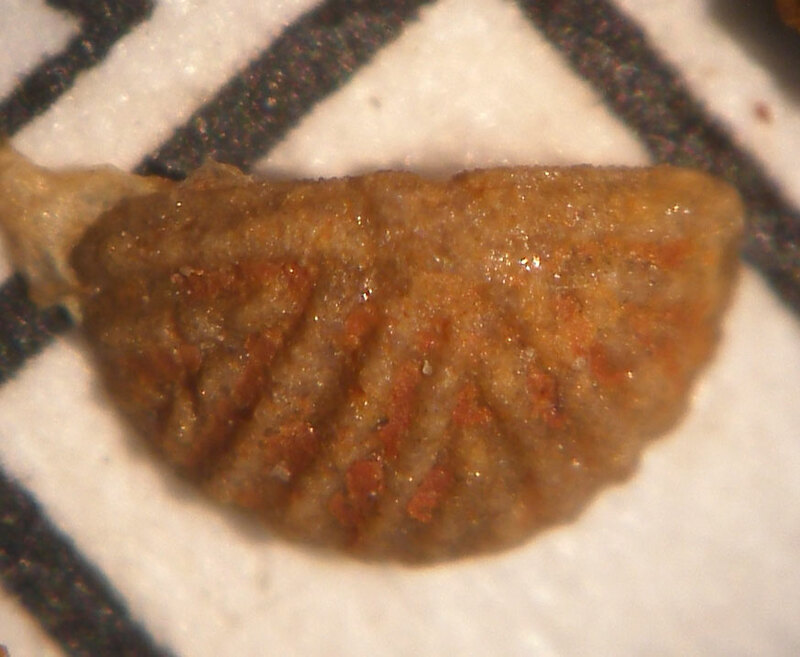 Fossil in image about 4 mm wide. 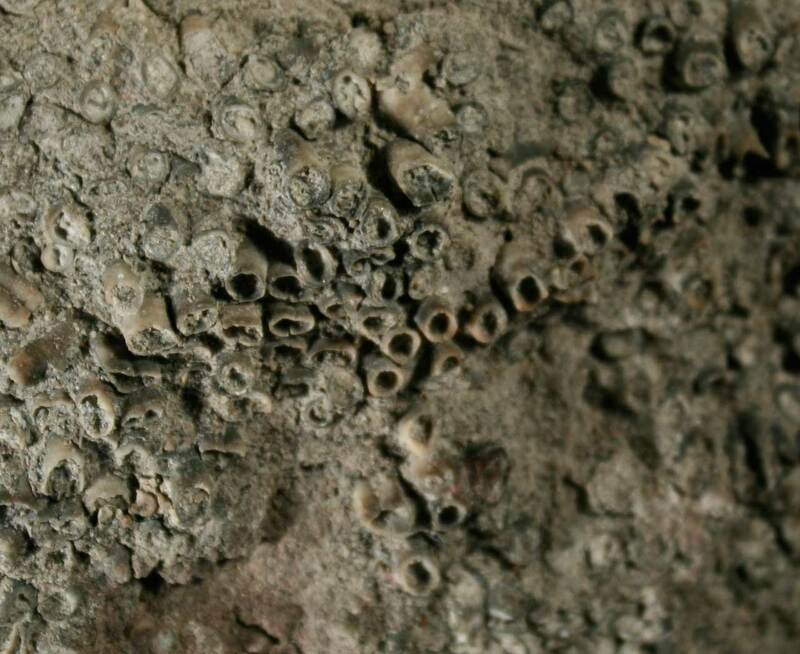 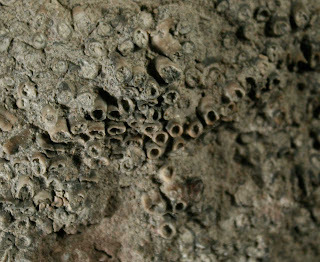 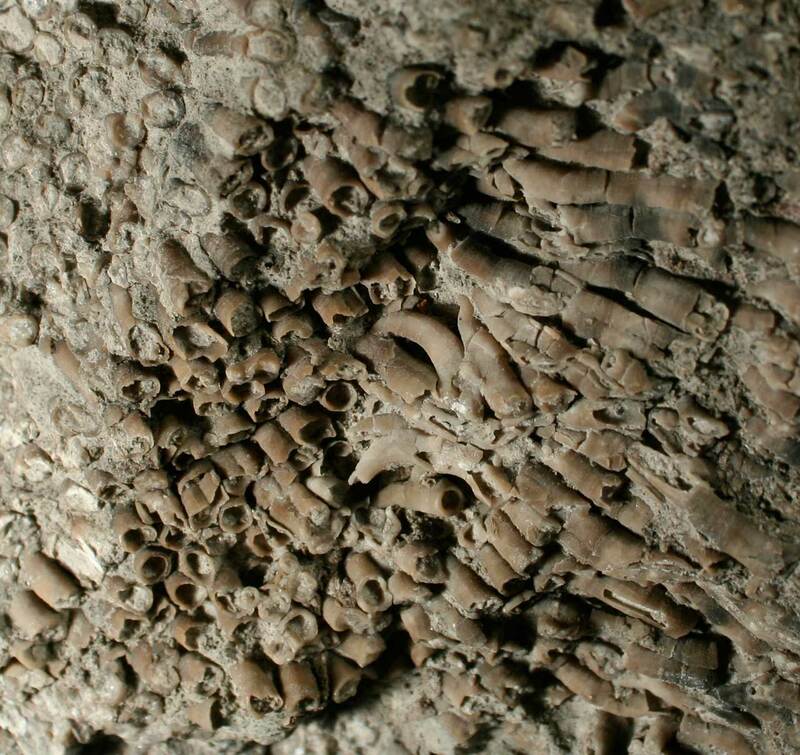 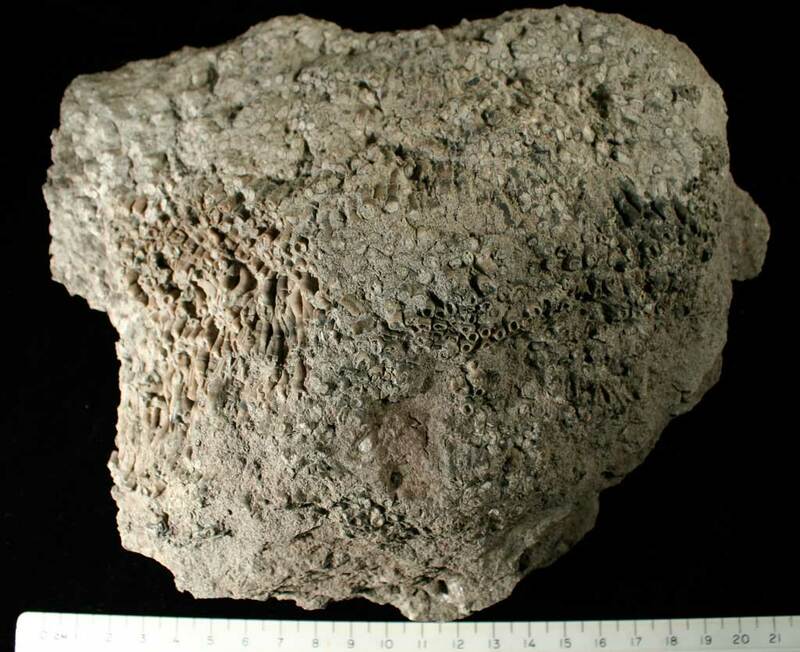 It was found at Spergen Hill, Indiana at a famous Salem Limestone microfossil locality. 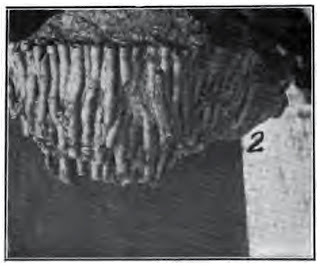 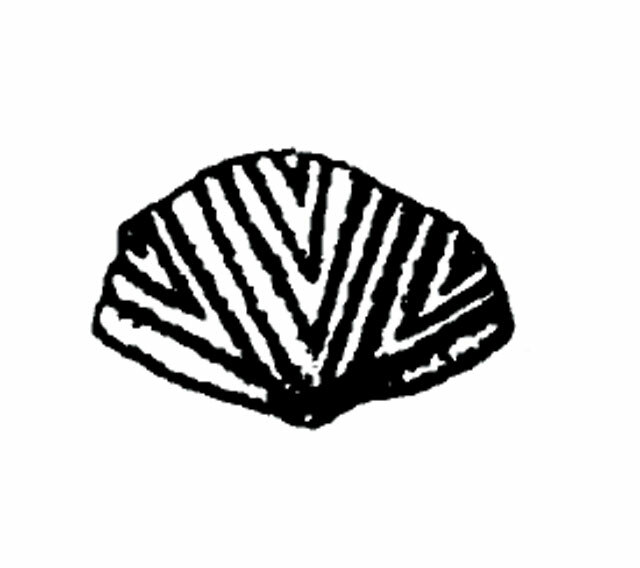 The identification matches Figure 5b found on Plate XIII in the Indiana Department of Geology and Natural Resources Thirtieth Annual Report, W.S. Blatchely State Geologist, 1905. 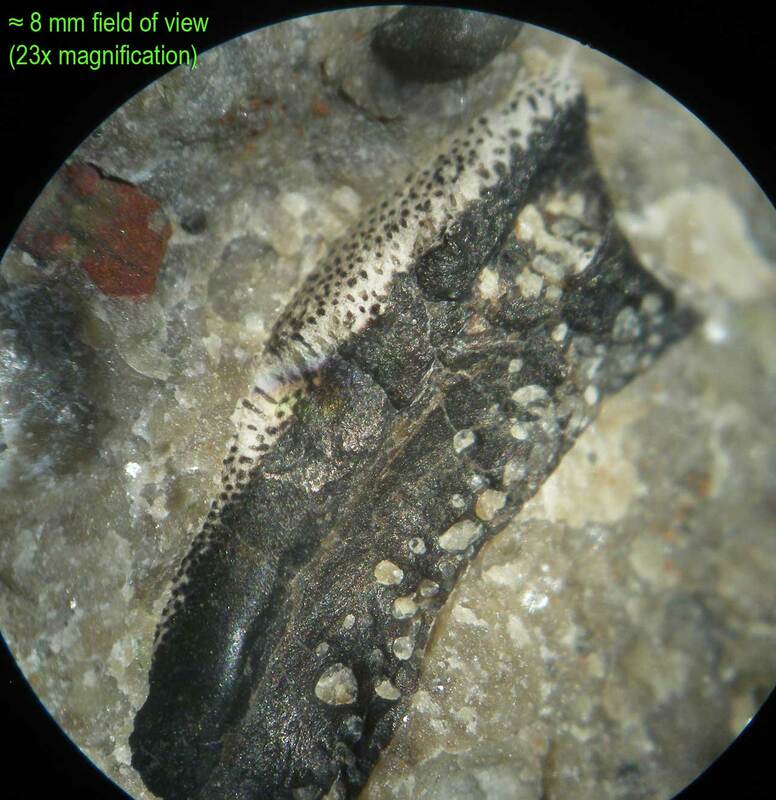 Thanks to Kenny for sharing this fossil image.